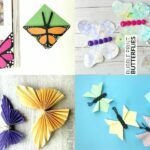 Butterfly Crafts are a wonderful craft for this time of year – they are wonderful for waiting for Spring to arrive and they are fun to make right through the Summer. 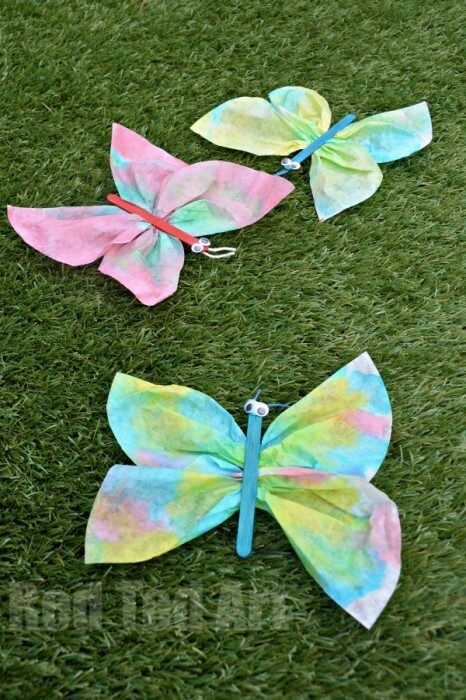 We finally had a go at some classic “Coffee Filter Butterflies” – great fun exploring colour theory whilst colouring our coffee filters and then once dry turning them into these ADORABLE little butterflies. Pip Squeak now has a set on her bedroom wall (we stuck them on with masking tape) and they look so so soooo jolly and lovely. 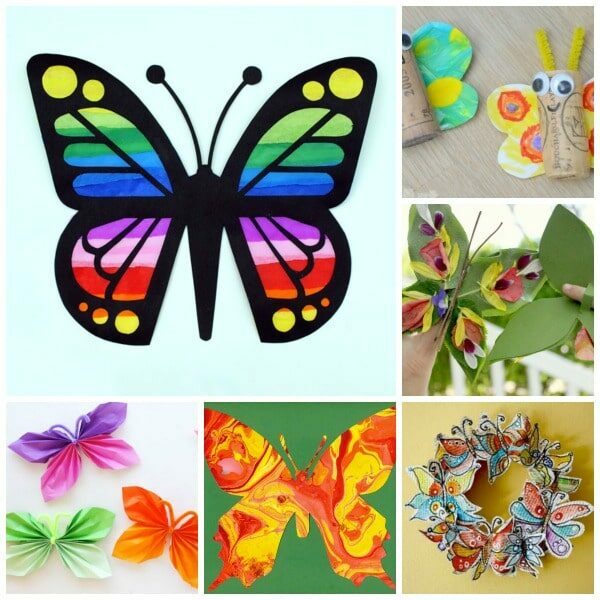 We do LOVE butterfly crafts! 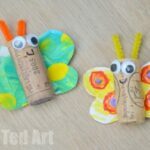 A great Spring Craft for Preschoolers. 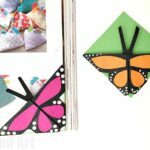 Note: these coffee filter butterflies were first shared in March 2015, the post has been updated and reshared for your convenience! 2) Once dry… we cute the coffee filters in half. 3) Switched the two halves around – so the circle sides meet. 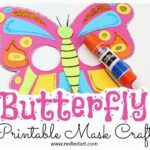 This will give them more of a “butterfly wing shape”. 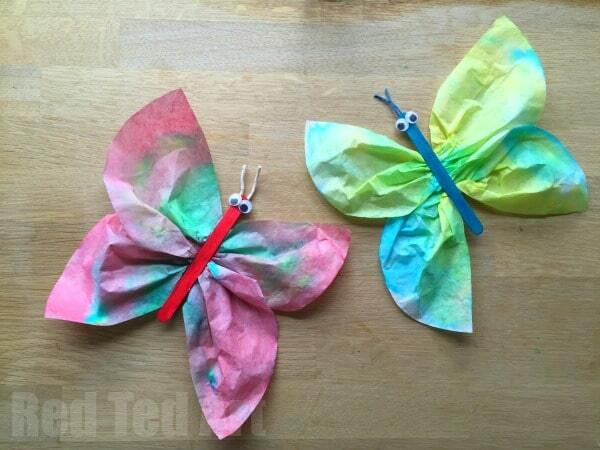 4) Now scrunch them up in the middle and prepare your craft stick with glue. 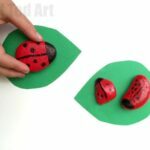 You CAN use a clothes peg or pipecleaner at this stage (watch the video below to see how they all look). 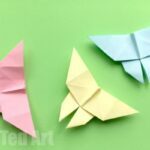 5) Place the craft stick on top of your wings. 6) Add a bit of glue to the craft stick and add some googly eyes. 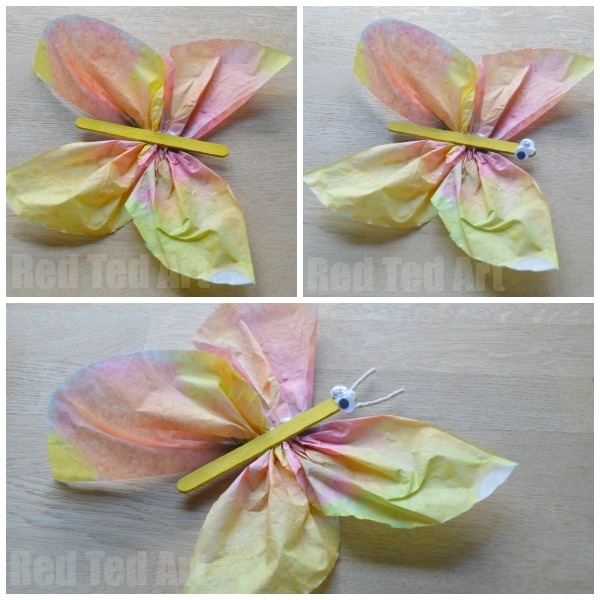 7) Finally, a little string under your craft stick to make little antennae of your coffee filter butterfly. 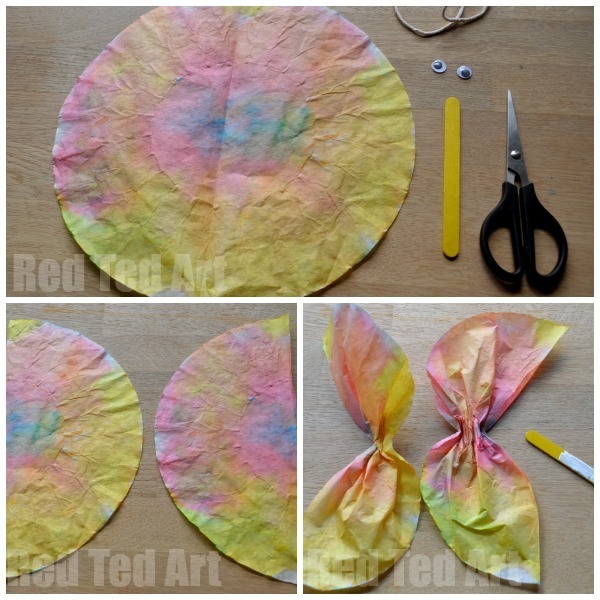 And your coffee filter butterfly is finished! Isn’t it cheerful? De très bonnes idées faciles à réaliser.